I made baby quilts for my niece and nephew, both due in early April. I didn't have a pattern for either so I just kind of made it up as I went along. They are easy so a pattern isn't necessary! 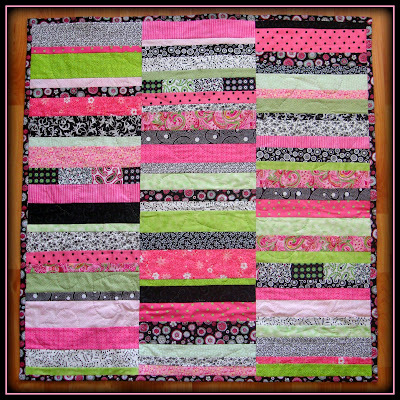 For the pink and green quilt, I cut strips of I think 23 different fabrics in sizes that ranged from 1 1/4 inch wide by 12 1/2 inches long to 3 1/2 inches wide by 12 1/2 inches long. I made both side panels first and planned to stop once the length was 36 inches but it ended up being a little bit longer. Then I made the center panel, adjusting as necessary so no matching fabrics would end up in the rows directly next to each other. 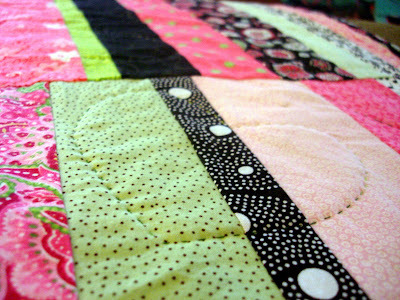 Once it was all pieced I squared up the quilt, cutting off extra length from the rows if necessary. I layered the bottom fabric, the warm and natural batting and the pieced top and pinned it together. I want to try to baste it together next time and see if I like that better. I don't like the safety pin holes in the fabric. To quilt it, I hand quilted different sized hearts all over the quilt. Then I folded the backing fabric over to make the binding and pinned and sewed it up on my machine. Love it! My sisters said they were all putting in their orders for when they are married and expecting girls! For my sister Hannah's son's quilt I wanted a different pattern. Although these colors would have looked great in the stripey pattern too. I made 6 inch blocks by cutting two 6 1/2 by 2 1/2 inch strips and two 2 1/2 inch squares of the same fabric and then one 2 1/2 inch square of a contrasting fabric. I cut it all out before I sewed anything together so I could rearrange the fabrics until I got it just so. 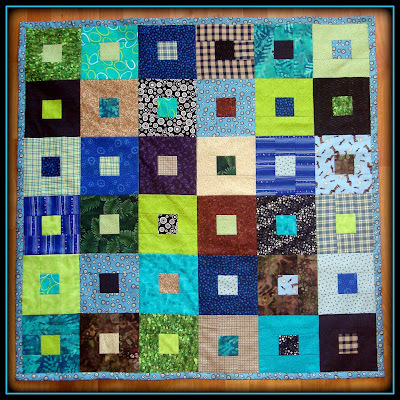 The 2 1/2 inch squares get sewn together first with the matching ones on the outside edges of the row and then the longer strips get sewn to the top and bottom of that pieced row. Easy! Just be consistent in your quarter inch seam! I love how this one turned out too! Hope my nephew gets a lot of snuggles in it! Ok you're my hero, will you be my friend? I want to do all of this stuff! 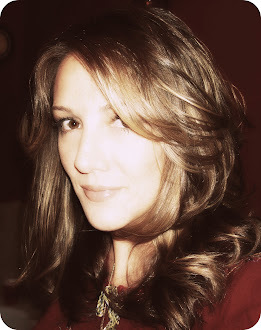 You are so amazing! I need help figuring out a fireplace project that will look divine and be cheap? Ideas?????? They look SO great! Super impressed!! I have about 12 quilts that I have to finish. Maybe I'll just send them to your house so they will actually get finished!